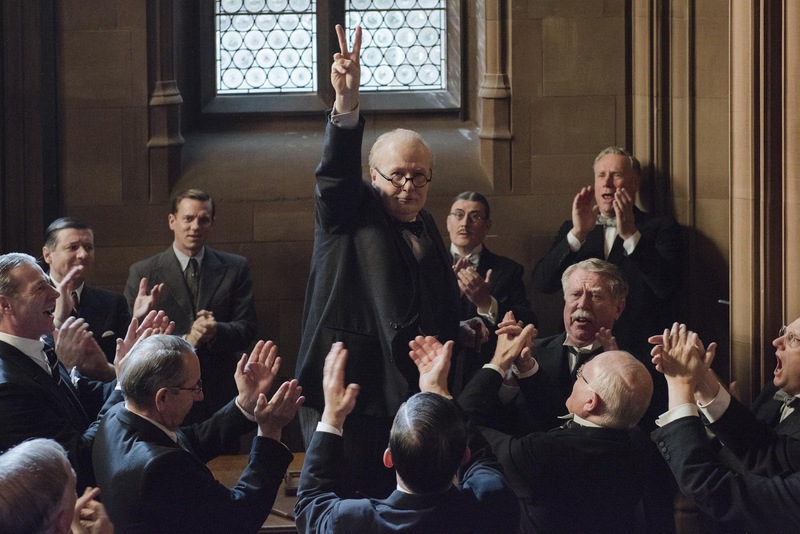 Directed by Joe Wright (Atonement, Pride and Prejudice), Darkest Hour is the dramatic and inspiring story of four weeks in 1940 during which Winston Churchill’s courage to lead changed the course of world history. "Words can, and do, change the world. 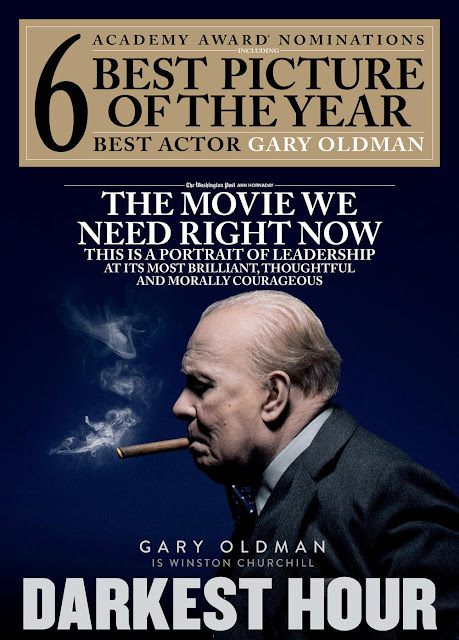 This is precisely what happened through Winston Churchill in 1940," marvels screenwriter and producer Anthony McCarten. "He was under intense political and personal pressure, yet he was spurred to such heights in so few days - over and over again." 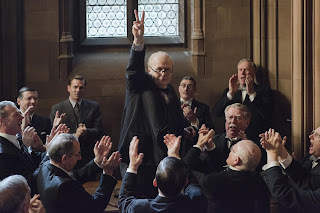 McCarten has long held an interest in the legendary statesman's life, and like many he has found inspiration in Churchill's speeches and oratory. McCarten found himself gravitating towards the intense period "of May 10th through June 4th, during which Winston turned coal into diamonds." 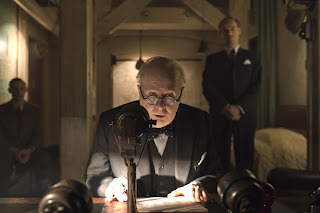 The linchpins of his original screenplay for Darkest Hour became three speeches that Churchill wrote and delivered between May and June 1940. It's a common saying that the first few days and weeks on the job are challenging. For this 65-year-old man, being named Prime Minister of Great Britain on May 10th, 1940 came at a time when the stakes could scarcely have been higher. Allied Forces was already at war with Adolf Hitler, and one democracy after another had fallen to his Nazi forces. Britain now stood on the edge of a precipice. The dilemma was, either steel the nerves and be drawn deep into the conflict; or retreat from the war altogether, with inconceivable consequences for British sovereignty. McCarten clarifies, "The question was whether to fight on alone, perhaps to the destruction of the armed forces and even the nation, or to play it safe - as Viscount Halifax and [outgoing] Prime Minister Neville Chamberlain believed - and to that end explore signing a treaty with Hitler. Winston had to wade into this fray, and he found himself battling the establishment. "This story is anchored in the past yet it resonates all the way into the here and now. Too often today, our 'leaders' are followers. These decisions made in less than one month's time had global ramifications." 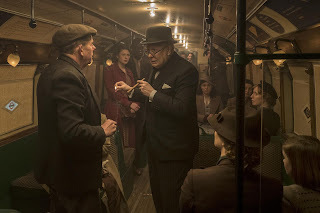 Ultimately, says McCarten, the Darkest Hour screenplay took shape "examining the working methods and leadership qualities and trains of thought. Winston strongly believed that words mattered, and he took pen in hand to help him - and his country - face down a terrifying threat. "In the process came the self-willed making of an iconic man." Also starring Kristin Scott Thomas, Lily James, Stephen Dillane, Ronald Pickup, and Ben Mendelsohn, Darkest Hour is distributed in the Philippines by United International Pictures through Columbia Pictures.